The app helps users find parking spots and allows them to pay from their phone. 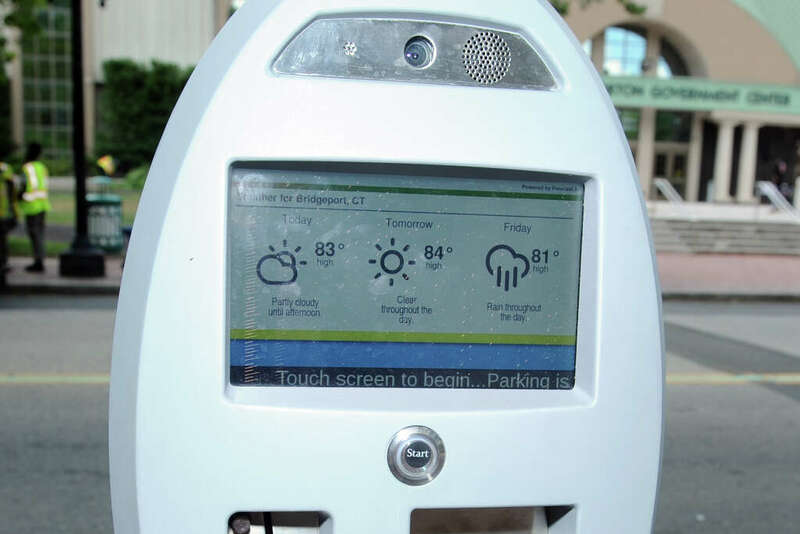 (TNS) -- BRIDGEPORT -- The city’s downtown parking meters are going high-tech. By the end of this week, the city expects to have two dozen state-of-the-art, smart parking meters operating in the central business and government district, and eventually will install 111 new meters. The meters take coins, credit and debit cards, and mobile payment using the “MobileNow®” application available on IOS and Android phones. The phone app can even find available parking spaces and direct drivers to them, city officials said. “This long-overdue change to make downtown Bridgeport more convenient for residents, consumers and businesses is happening just in time for the holiday season,” said Mayor Joseph Ganim. High definition touch screens on the meters also allow for public safety features, including a 911 call button, community service messaging such as weather alerts, local news and merchant promotions. The City of Bridgeport has chosen Connecticut-based LAZ Parking as the vendor to manage its new parking system. LAZ will also have a downtown office at 333 State Street where tickets can be paid and other parking information obtained. ©2016 the Connecticut Post (Bridgeport, Conn.) Distributed by Tribune Content Agency, LLC.